An-Nasir Salah ad-Din Yusuf ibn, known as Salah ad-Din or Saladin, was the first sultan of Egypt and Syria and the founder of the Ayyubid dynasty. A Sunni Muslim of Kurdish ethnicity, Saladin led the Muslim military campaign against the Crusader states in the Levant. At the height of his power, his sultanate included Egypt, Syria, Upper Mesopotamia, the Hejaz, Yemen and other parts of North Africa. 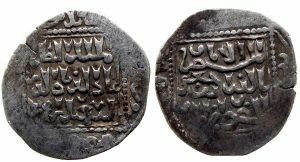 He was originally sent to Fatimid Egypt in 1164 accompanying his uncle Shirkuh, a general of the Zengid army, on orders of their lord Nur ad-Din, an atabeg of the Seljuks, to consolidate Shawar amid his ongoing power struggle for vizier to the teenage Fatimid caliph al-Adid. With Shawar reinstated as vizier, he engaged in a power struggle with Shirkuh, which saw the former realigning himself with Crusader king Amalric. Saladin climbed the ranks of the Fatimid government by virtue of his military successes against Crusader assaults against its territory and his personal closeness to al-Adid. 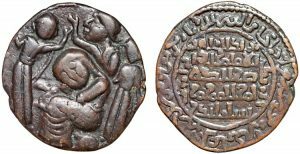 With Shawar assassinated in 1169 and Shirkuh’s natural death later that year, al-Adid appointed Saladin vizier, a rare nomination of a Sunni Muslim to such an important position in the Isma’ili Shia caliphate. Inaugurated as vizier on 26 March, Saladin repented “wine-drinking and turned from frivolity to assume the dress of religion”, according to Arabic sources of the time. Having gained more power and independence than ever before in his career, he still faced the issue of ultimate loyalty between al-Adid and Nur ad-Din. Later in the year, a group of Egyptian soldiers and emirs attempted to assassinate Saladin, but having already known of their intentions thanks to his intelligence chief Ali ibn Safyan, he had the chief conspirator, Naji, Mu’tamin al-Khilafa—the civilian controller of the Fatimid Palace—arrested and killed. The day after, 50,000 Black African soldiers from the regiments of the Fatimid army opposed to Saladin’s rule, along with a number of Egyptian emirs and commoners, staged a revolt. By 23 August, Saladin had decisively quelled the uprising, and never again had to face a military challenge from Cairo. 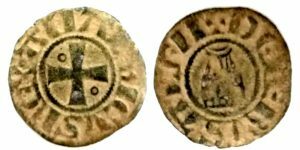 Towards the end of 1169, Saladin, with reinforcements from Nur ad-Din, defeated a massive Crusader-Byzantine force near Damietta. 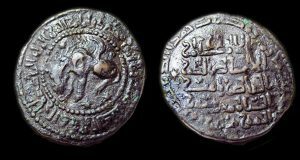 Afterward, in the spring of 1170, Nur ad-Din sent Saladin’s father to Egypt in compliance with Saladin’s request, as well as encouragement from the Baghdad-based Abbasid caliph, al-Mustanjid, who aimed to pressure Saladin in deposing his rival caliph, al-Adid. Saladin himself had been strengthening his hold on Egypt and widening his support base there. He began granting his family members high-ranking positions in the region; he ordered the construction of a college for the Maliki branch of Sunni Islam in the city, as well as one for the Shafi’i denomination to which he belonged in al-Fustat. After establishing himself in Egypt, Saladin launched a campaign against the Crusaders, besieging Darum in 1170. Amalric withdrew his Templar garrison from Gaza to assist him in defending Darum, but Saladin evaded their force and fell on Gaza instead. He destroyed the town built outside the city’s castle and killed most of its inhabitants after they were refused entry into the castle. In the following years, he led forays against the Crusaders in Palestine, commissioned the successful conquest of Yemen, and staved off pro-Fatimid rebellions in Upper Egypt. Not long after Nur ad-Din’s death in 1174, Saladin launched his conquest of Syria, peacefully entering Damascus at the request of its governor. By mid-1175, Saladin had conquered Hama and Homs, inviting the animosity of other Zengid lords, the official rulers of Syria’s various regions. Soon after, he defeated the Zengid army at the Battle of the Horns of Hama and was thereafter proclaimed the “Sultan of Egypt and Syria” by the Abbasid caliph al-Mustadi. Saladin made further conquests in northern Syria and Jazira, escaping two attempts on his life by the “Assassins“, before returning to Egypt in 1177 to address issues there. By 1182, Saladin had completed the conquest of Muslim Syria after capturing Aleppo, but ultimately failed to take over the Zengid stronghold of Mosul. Under Saladin’s command, the Ayyubid army defeated the Crusaders at the decisive Battle of Hattin in 1187, and thereafter wrested control of Palestine – including the city of Jerusalem – from the Crusaders, who had conquered the area 88 years earlier. Although the Crusader Kingdom of Jerusalem continued to exist until the late 13th century, its defeat at Hattin marked a turning point in its conflict with the Muslim powers of the region. 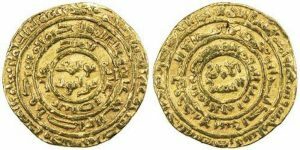 Saladin died in Damascus in 1193, having given away much of his personal wealth to his subjects. He is buried in a mausoleum adjacent to the Umayyad Mosque. 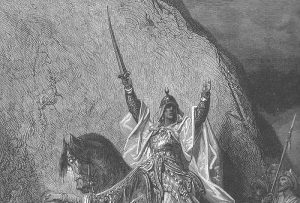 Saladin has become a prominent figure in Muslim, Arab, Turkish and Kurdish culture, and he has often been described as being the most famous Kurd in history.